Made for Shawn Marion to wear during the 2006-07 NBA season. 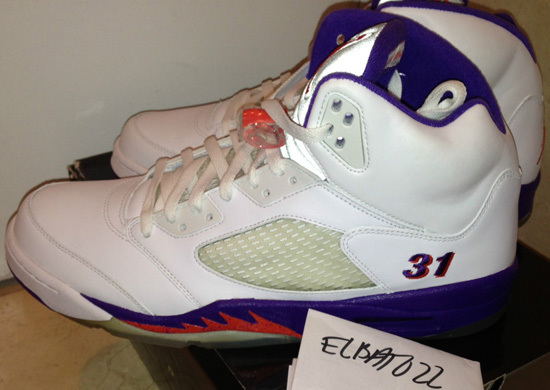 These are one of the rarest Air Jordan 5 Retro PE's out there. Check out the auction here. 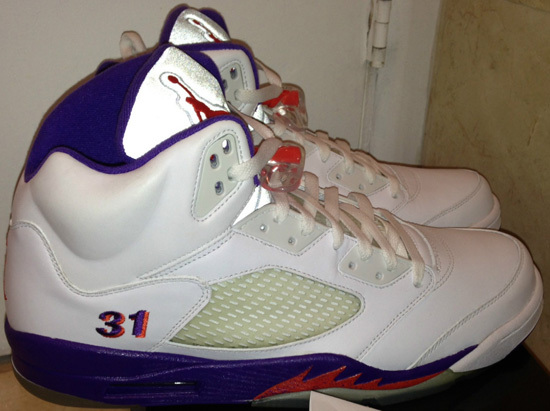 Coming in a white, purple and orange colorway to match Marion's former Phoenix Suns team colors. 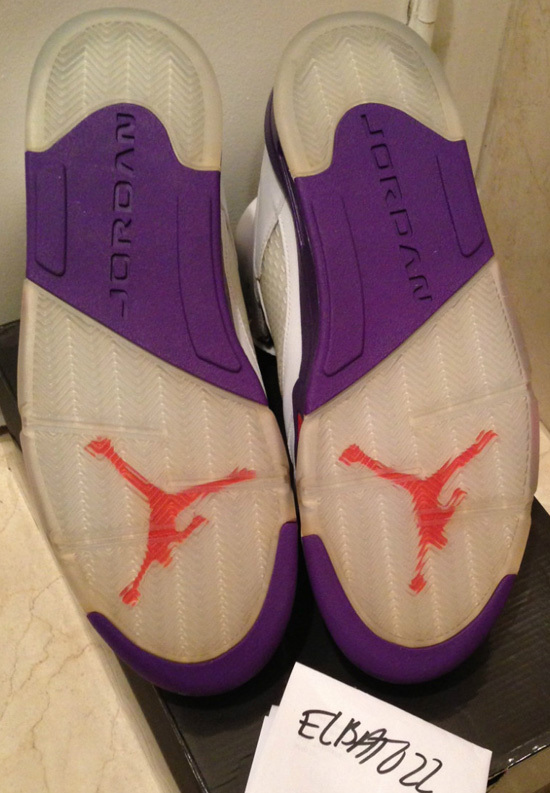 A "Home" edition, they were worn by Shawn Marion while playing at home for the Suns. His jersey number "31" is stitched on the heels. 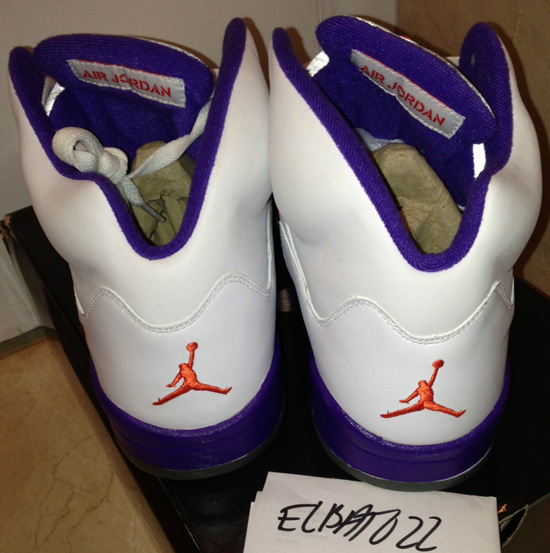 Not many pairs of these player exclusive's were made compared to other 2006-07 PE's out there today. 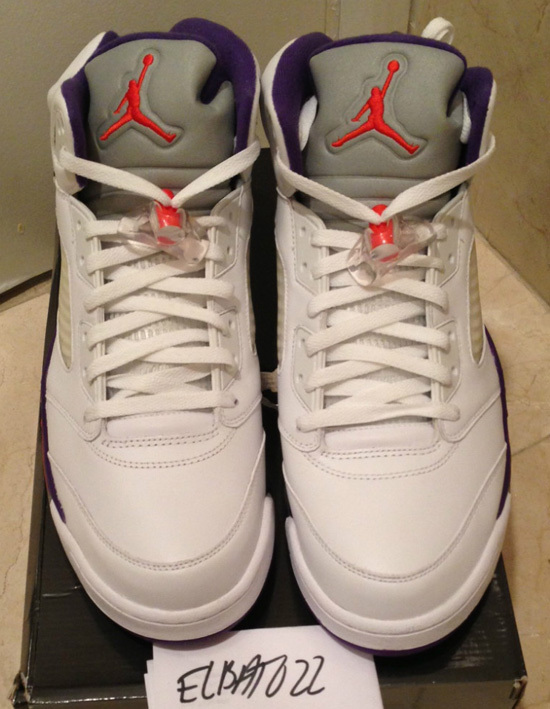 This is why these are one of the more rare pairs. Even though all are rare as none were released in stores or available to the public, the fact that very few of these have ever popped up makes them harder to come by. 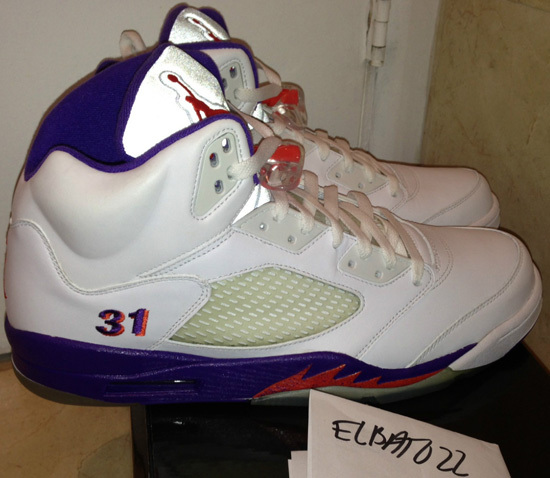 Check out the images below of these Shawn Marion Air Jordan 5 Retro PE's. If you're a fan or would like to add these to you collection, click here to buy them on eBay.